Mini Six is a variant of the OpenD6 system. It's generic, though there are several starter campaign ideas presented including fantasy, science fiction, and a lighthearted take on a 1970's cop action show style game. The mechanics of Mini Six revolve around rolling a dice pool made of a number of six side dice, resulting in a total that is compared to a target number set by the game master. You can purchase it at RPGNow. 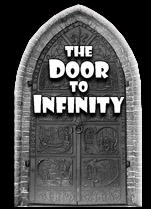 The Door to Infinity is a time travel mini setting for Mini Six. You can download it here. The MC Gazette is a short extension of the Farnsley's Phantasm Investigations mini setting presented in Mini Six. It includes several new perks and complications as well as new gear and adventure ideas. You can download it in the 3rd Party Fan Files Archive here. A basic character sheet and form fillable version can be found here.